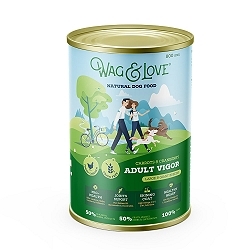 Inspired by dogs and their love for us, we are dedicated to a holistic approach to nutrition and delivering a new-age, ultra-premium, and natural dog food, with an honesty and affordability that dogs and their parents in India can count on. "Man s best friend”, they say. We d like to make an amendment: "Dogs aren t just our friends, they re family!” Wag & Love is a family-run venture with a vision to make a difference in the well-being of the pet community in India. 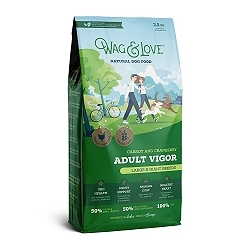 Why Wag & Love ? No artificial flavours, colours, or preservatives. GMO free. Brought to life in our GMP+ & IFS certified facility, all our products exceed AAFCO (USA) & FEDIAF (EU) gold standards on pet nutrition, so you can rest assured that your pet gets nothing but the best. And last but not the least, love: the glue that holds us together. At every step of the way, from research to production to distribution, love is the binding ingredient. 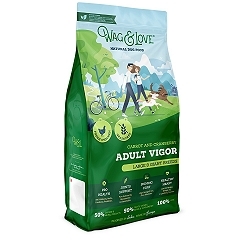 Wag & Love is a family-run venture, truly inspired by dogs and their love for us.